As a keyboard prodigy, he performed Bach’s Well-Tempered Clavier at age 11 before joining the American Boychoir School in 1992 as a boy soprano. During his four years of high school studies at The North Carolina School of the Arts, he transcribed for the organ more than 100 major works, including Gustav Mahler’s complete Symphony No. 5. Cameron continued composing after moving to New York City in 2000 to attend The Juilliard School. Cameron received a Master’s Degree from The Juilliard School in New York in 2006. Olga Kern, born in April 23, 1975 is a Russian classical pianist. Born as Olga Pushechnikova to a family of musicians with ties to Tchaikovsky and Rachmaninoff, she later adopted her mother’s maiden name (Kern) professionally. She began studying piano at the Central Music School of Moscow when she was five. Ms. Kern is a magnetic performer with one of the most prodigious piano techniques of any young pianist. The striking performer is the Russian Gold Medal winner of the 2001 Van Cliburn International Piano Competition – whose performance of the Rachmaninoff Piano Concerto No. 3 made her the first woman to achieve this distinction in over 30 years. She made her New York City debut in Carnegie’s Zankel Hall in May, 2004. Eleven days later she returned to New York to play at Carnegie again, this time on the stage of the Isaac Stern Auditorium at the invitation of Carnegie Hall. Born 14 March 1989 in Cracow, Poland. He was a student of Stefan Wojtas at the Cracow Academy of Music. 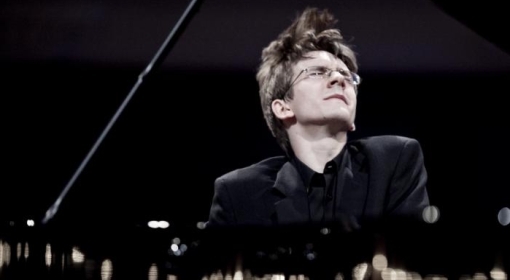 He received several prizes, including second prize in the International Chopin Competition of Young Pianists in Narva, 2004, first prize in the International Chopin Competition of Young Pianists in Budapest, 2006, and second prize in the International Young Pianists Competition Rubinstein in, 2007. Koziak has performed as a soloist with the Chinese National Symphony Orchestra, the National Philharmonic Orchestra in Warsaw and the Łódź Philharmonic Orchestra. He has given numerous recitals in China, Japan, Poland, Germany, Russia, Austria, Sweden, Ukraine and Hungary. He was awarded a scholarship by the Minister of Culture and National Heritage. Koziak made it to the 3rd stage of the International Chopin Competition in 2010. Click here to see all the Chopin pieces he performed. Believe it or not, he did not make the Finals of this competition! Here he is playing at the second stage of the Rubinstein 2014 competition. Here’s the same Chopin etude with some foot action. 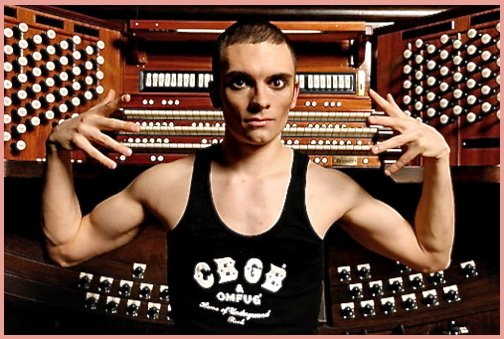 If you continue to watch this video you will see Cameron Carpenter’s arrangement of Bach’s “Toccata and Fugue”. Check it out!